Relax and unwind in paradise at Pohutukawa Cottage. Enjoy the scenic coastal drive, approx 30 minutes from Whangarei City, to this rural holiday house which is set on 5 acres of private farmland. The holiday house offers majestic coastal, estuarine, river and rural views in the comfort of a modern self-contained home at the end of a private road. Indulge in a complementary bottle of sparkling wine, sit back and enjoy. Wakeup to absolutely amazing views, from your bed if you wish. Glorious sunrises. The property is located minutes from the tidal rivers and estuary, family beaches and/or surfing beaches. Close to easy boat launching facilities, walks/tramping. 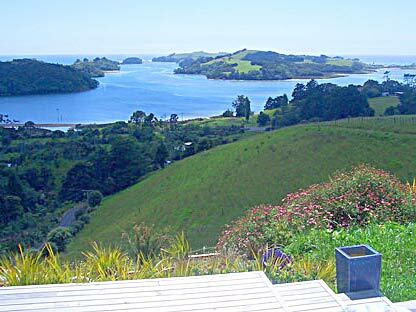 So much to do, yet you can chose to stay and enjoy the surroundings, breathe the fresh air and soak up the atmosphere and enjoy the views right at Pohutukawa Cottage. At the end of your day sit back and watch the magnificent and peaceful twilight. And on those moonlight nights enjoy the stunning views over the water. Pohutukawa Cottage is beautifully presented, two double bedrooms, fully equipped self-contained home. Accommodation suitable for a family or couples. 2 Bedrooms, 1 queen bed, 2 single beds. Freeview TV, DVD Player, fully equipped kitchen, dishwasher, laundry, linen/bedding and bathroom towels.